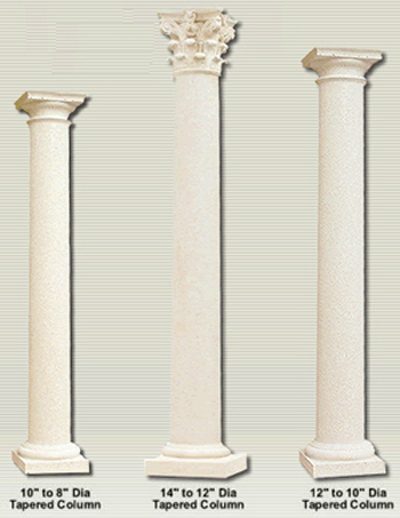 Cast Stone Decorative Columns are manufactured in halves and are available in colors of White or Bone. These Architectural columns come in textures of Keystone or Smooth. Tapered Columns are also available in 16″ to 13″ Dia. 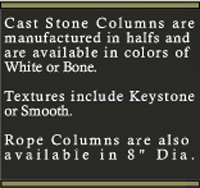 caps are available for each of the different column sizes. 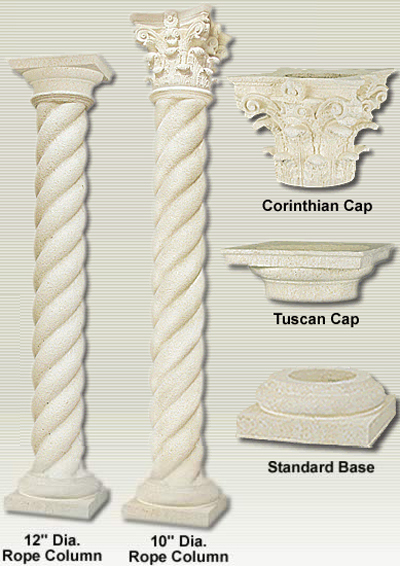 Whether it be decorative columns, or architectural columns our inventory of columns is sure to meet your needs.